With nineteen years of senior leadership experience in nonprofit management and disability services, Von Ahn comes to Cardinal Cushing Centers after an eleven year tenure as Executive Director of Warren, Washington & Albany Counties ARC (WWAARC), A Chapter of The Arc New York. Prior to his role at WWAARC, Von Ahn was General Counsel and Associate Executive Director of Legal Affairs for the Arc of New York. “An experienced leader with a strong financial services and legal background, we look forward to welcoming Mr. 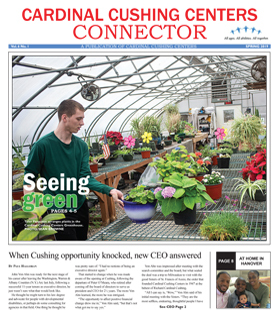 Von Ahn to the top leadership position at Cardinal Cushing Centers,” says Kevin Kiley, Co-Chairman of the Cushing’s Board of Directors. “We believe Von Ahn’s proven leadership abilities, experience in the field, and sense of passion for our mission are a recipe for a very successful tenure,” says Jeanine Mount, Co-Chair. As Executive Director of WWAARC, Von Ahn oversaw the day-to-day operations of a multi-divisional, $40 million Chapter of the Arc of New York which provides services daily to over 1,000 individuals with intellectual and other developmental disabilities including residential, day habilitation, Medicaid service coordination, family support services, supported employment, vocational rehabilitation, workshop, and guardianship. 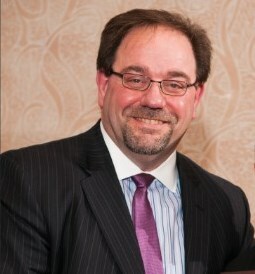 During his tenure, Von Ahn transitioned one hundred percent of the Medicaid Service Coordinators to a Care Coordination Organization without a disruption in service to the individuals they were supporting, and successfully coordinated the merger of the larger Albany County Chapter ($27M) into the smaller Warren & Washington Counties Chapter ($14M) in a reverse merger. WWAARC has since become one of The Arc of New York’s highest net margin operating chapter.